On a professional level Thursday was due to be a big one. I had a 5.15am start to make it up to Manchester to present at the Digital Engagement Conference. Then the long journey home to follow the Hertfordshire Digital Awards on Twitter. To be shortlisted again after taking home silver last year was great. Yet, there was no way I was making it home on time to attend the ceremony with a heavily pregnant wife! So, after consuming a hearty breakfast on the train, I arrived at the Place Aparthotel for a day of networking and presentations. There was an impressive roster of speakers and the venue was excellent. 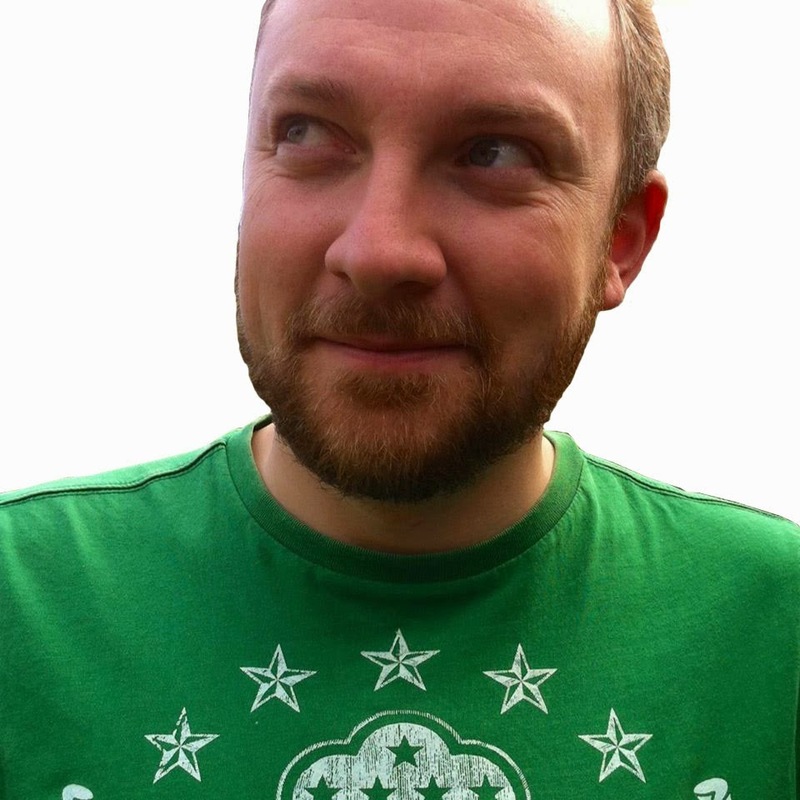 I got chatting to a wide variety of digital professionals across different sectors (including charities, banks and agencies) and learned something new from each one of them. In my role I quite often am asked to explain technical processes in simple language. My concern was that I'd be so used to this approach that to present to a room of my peers would be a challenge. However, I found that the presentations I enjoyed the most were the least technical - Kerry Foods and Greater Manchester Police. This was because they didn't contain exhaustive slides of statistics/graphs but concentrated on telling a story. 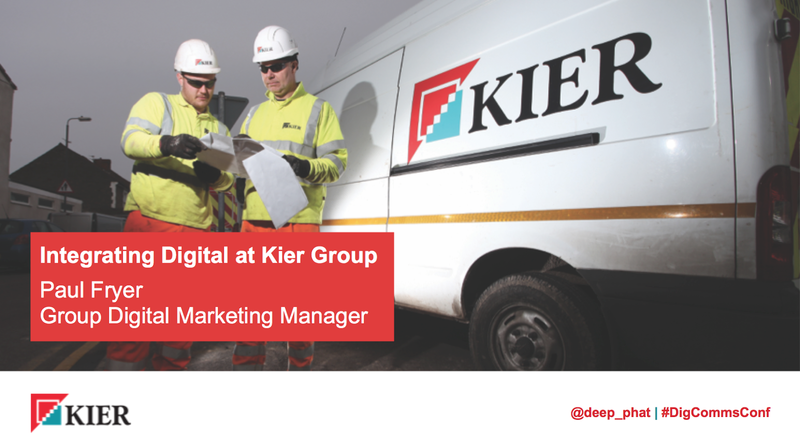 Download my presentation on 'Integrating Digital at Kier Group' here. During the long journey home I followed the build up to the Hertfordshire Digital Awards via a flaky 4G connection on Periscope. This year it was held at the University of Hertfordshire and looked to be an excellently run event. I was warmly welcomed home by my wife who had thankfully not yet gone into labour - that was to be a further 36 hours away. We then sat refreshing Twitter to watch the ceremony from afar. It was hard not being there as the coverage was excellent with the photos due to appear in the Hertfordshire Mercury. With this great news and I'll now be spending much of my paternity leave awaiting the postman with the delivery of my plaque. The list of winners showed a further improvement on the quality of work throughout the county. Keeping up to date with digital can be a never ending and exhaustive task. Some weeks I sit down to write with my usually high energy levels at a low but awards like these give me the boost I need to keep writing and enjoying every minute of my job. @deep_phat We are definitely checking your diary before we book #HDA17! Anyone who knows me will know that I enjoy giving presentations. As someone who enjoys social interaction I relish the opportunity of passing on knowledge and getting live feedback. I even enjoy the process of putting slides together as I try to make each one a work of art. I've learnt that the tip here is to actually include more slides and up the tempo. If a slide is on the screen for more than a minute then you've lost your audience's waning attention spans! 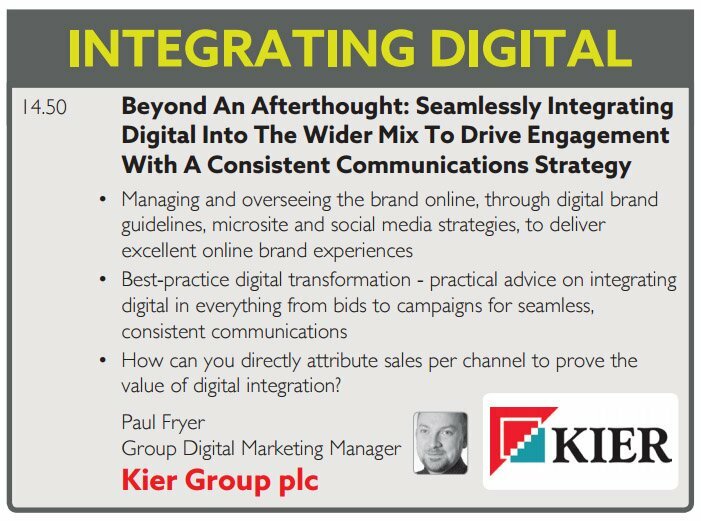 This week I've been busy crafting my presentation for next Thursday's Digital Engagement Conference. Having spoken at my fair share of industry events I'm always focused on improving my presentation style and delivery. 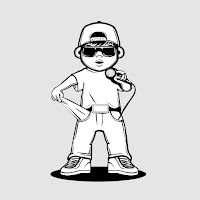 Early on I listened back to a recording which revealed that I overuse the term 'et cetera'! Just because you made a PowerPoint doesn't mean you had an idea. I'm sure that we have all been at our fare share of mind-numbingly boring presentations. What a lot of these lack is that they don't tell a story. It's a known fact that people remember stories much more than they remember facts. So it's important to add that personal touch to your presentation. Perhaps even add a 'story arc' or a 'callback'? Start by painting a picture of the pain points that the audience are experiencing. Then, be the hero that shows them how to alleviate the problem. A good guide when planning is to keep it simple by following the classic three-act structure. It's also important to be 100% confident and excited about your content. If this means injecting some humour then all the better. 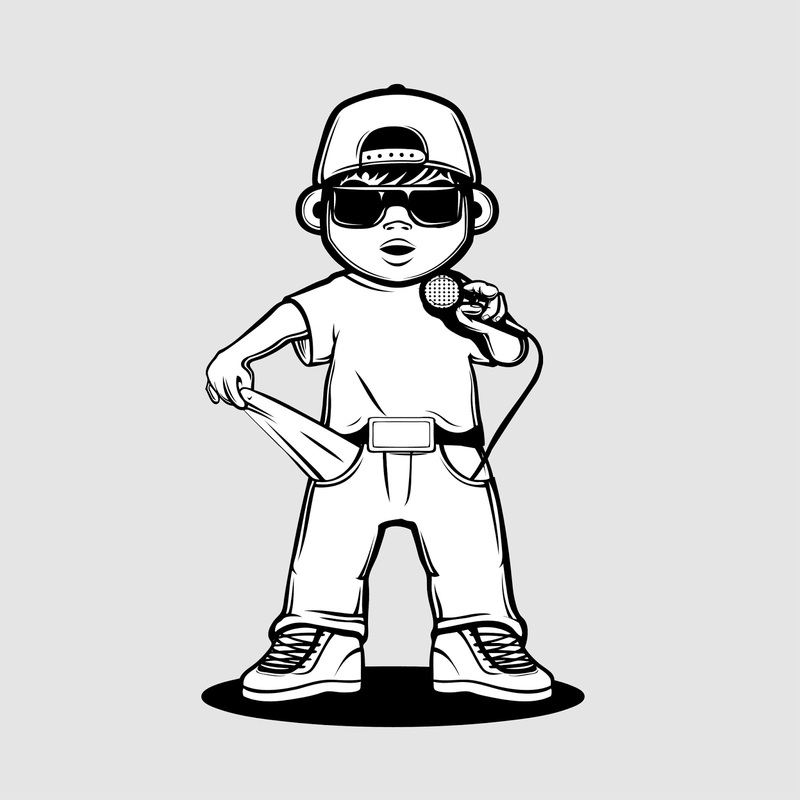 The best tip I was ever given was to over prepare and then freestyle whilst giving the presentation itself. If you know your subject well enough it will seem a lot more natural and you'll always have your slides to fall back on. The imagery used on these slides is also important. Looking at blurry images on your desktop is annoying. Blow them up on a screen that’s 100x bigger and the images are downright unbearable. Take the time to scout out visually stimulating, high-quality images for your marketing presentation. I'm a big fan of Shutterstock for this (Unsplash and Gratisography are great free alternatives). When I first started presenting at industry events I found it difficult that everyone seemed to be looking at their phones. I thought they weren't interested and missed the encouragement from their smiling, nodding faces. But I soon realised that at digital marketing events the majority of people are simultaneously tweeting. This proved a great way to get immediate feedback on the points the audience found most useful. This shows people who didn’t attend your session that they missed out on something special. 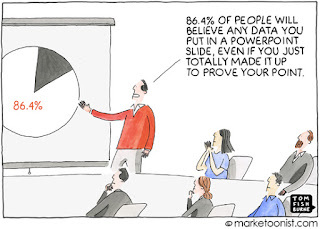 As a result, they’re more likely to download your slides after the event or attend your session the next time around. Now I positively encourage this by including my Twitter details on every slide. It's worth remembering that unless you’re a super-inspirational thought leader, people aren’t attending your session because they want to know how you feel about the topic. Instead, they want to hear what you’ve concluded based on hard facts and data that you’ve collected. Share case studies and examples to back up all your points. 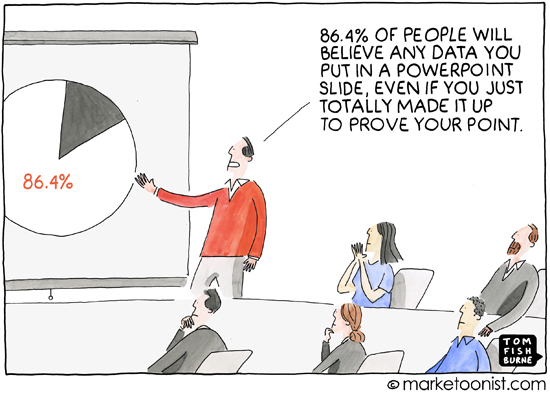 Ultimately, hard marketing data is way more powerful than simple generalisations. It's always better to share than to give a vague overview that makes your audience feel they've missed the meat of the meal. Finally, the first thought that crosses my mind after presenting at a conference is, “I can’t believe I spent weeks slaving over this deck and the whole presentation is over after 20 minutes!” So, I’ve made it my mission to glean as much traction as I can out of each and every marketing deck. To extend a presentation’s visibility to people who didn’t attend it, I create a long-form blog post covering my presentation content, which is loosely based on the script I wrote for the event itself. If it was a lengthy presentation, sometimes I can even turn it into a series of posts. I know that for many people presentations are something which they dread most in the workplace. In an old job I was always surprised that teachers who spent everyday controlling a class of 30 teenagers completely went to pot when asked to present to their peers.